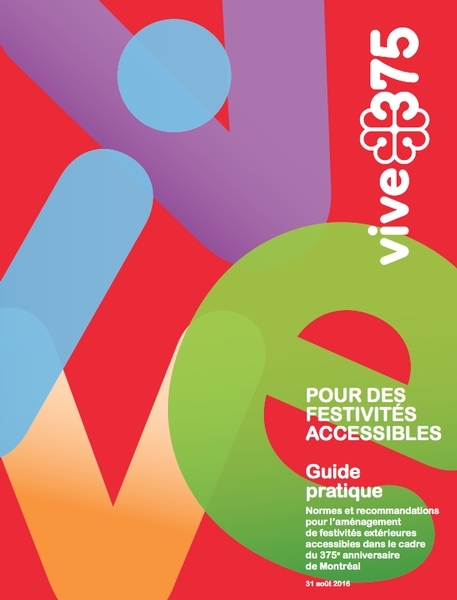 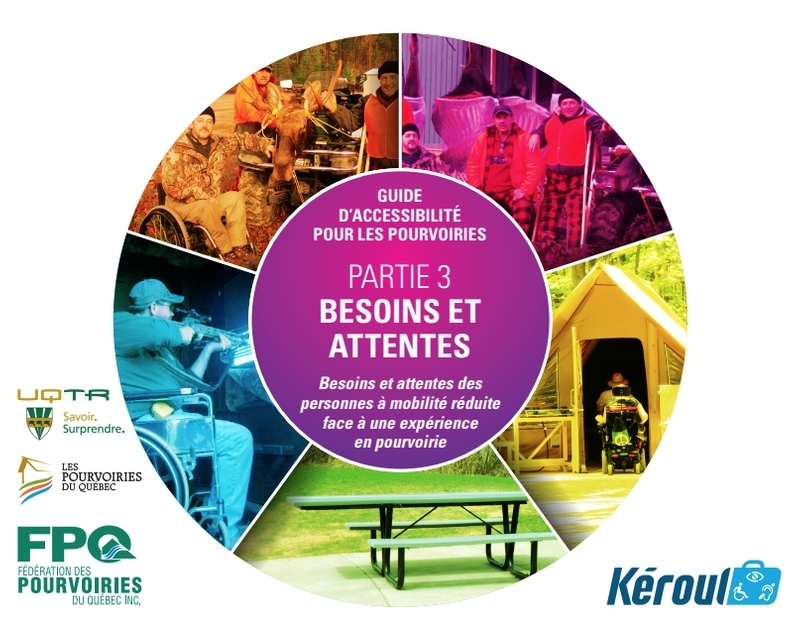 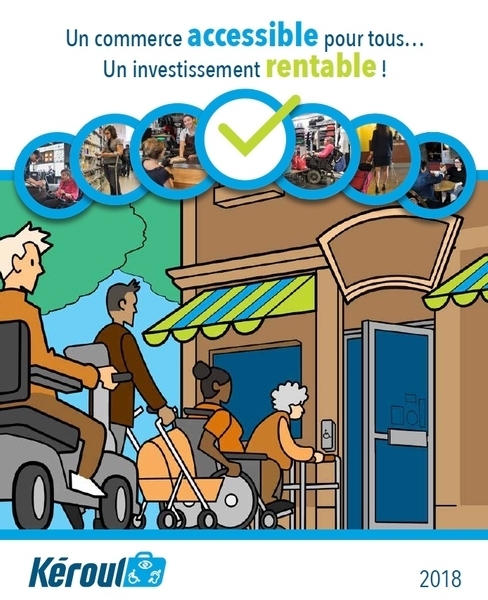 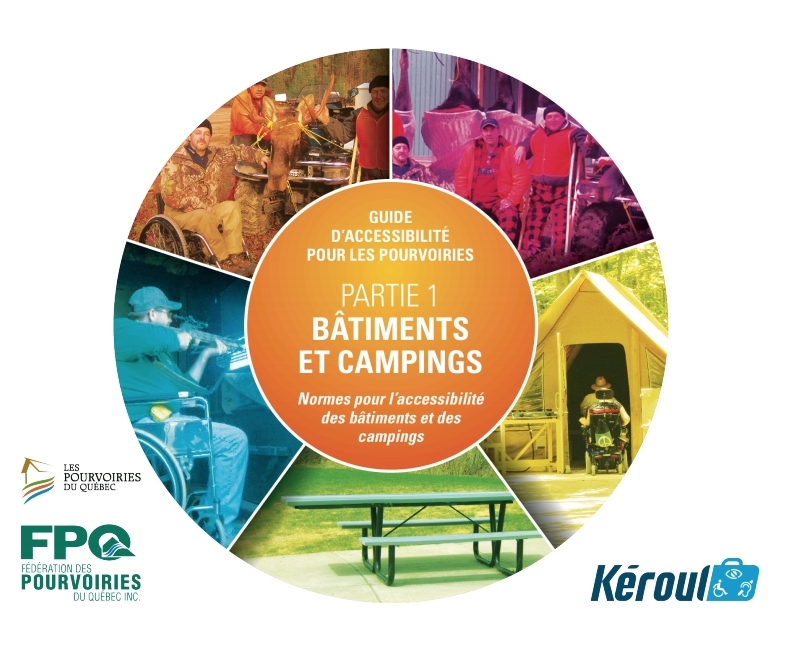 Guide for Accessible Outfitters, Part 1, Buildings and campings, Standards for Accessible Facilities, Kéroul, 2014, 34 pages. Guide for Accessible Outfitters, Part 2, Activities, Standards and Good Practices for Outdoor Activities, Kéroul, 2014, 29 pages. 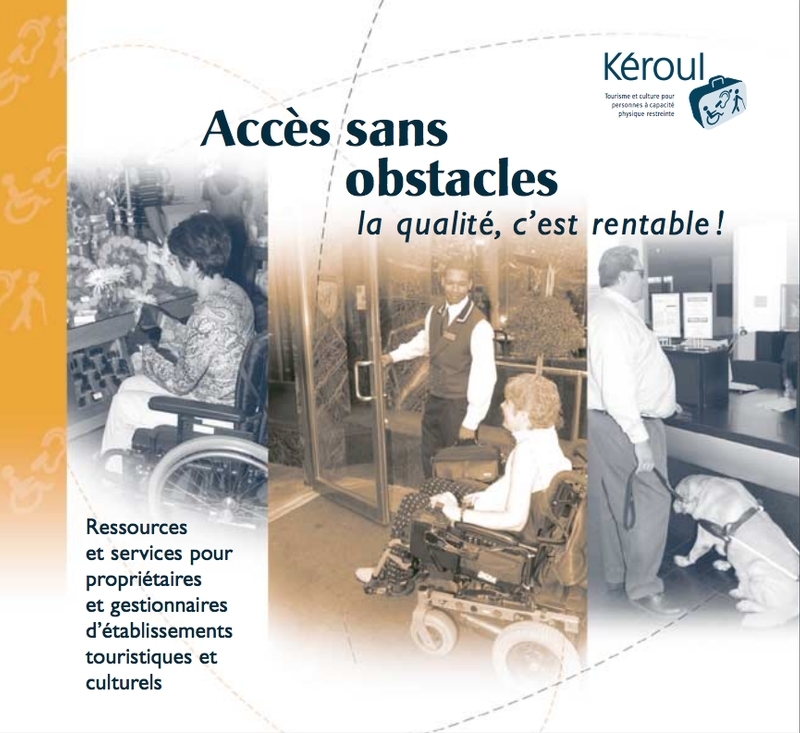 Guide for Accessible Outfitters, Part 3, The needs and expectations of people with reduced mobility using outfitter facilities, Kéroul, 2014, 10 pages.